A stylish silver plated business card case with a with fluted lid featuring an elegant, designer curved tab. 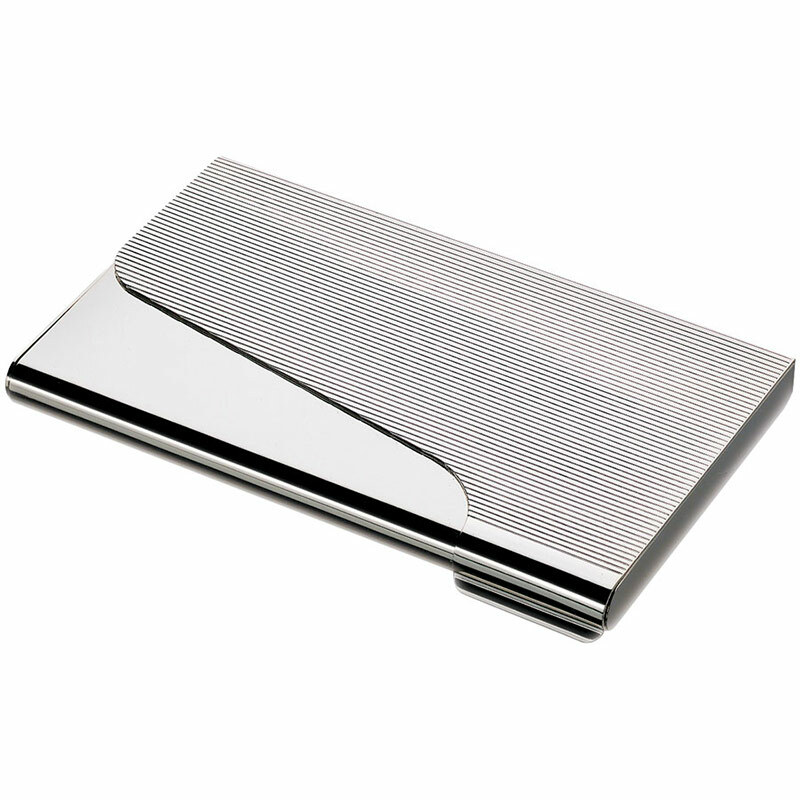 These pocket sized business card cases hold 10-12 standard business cards, allowing you to present them in pristine condition every time. They are perfect for engraving on the smooth section of the lid, and are offered with FREE ENGRAVING of text and logos. Add your company name, logo, brand logo, or marketing message to the lids of these stylish business card cases and make sure you present a professional image every time you give or receive a business card.